How to Have the Best Holiday of your life in Greece! Greece has been one of the most popular travel destinations for years, and for good reason. If you are planning to visit this wonderful country, you will not be disappointed as it is one of those few places in the world that has a lot to offer on more than one front. Whether you’re a history buff, a nature lover or you simply want to go and chill out and sip a few cocktails on a picturesque beach, Greece can offer you all that and more, not to mention the exquisite local cuisine! 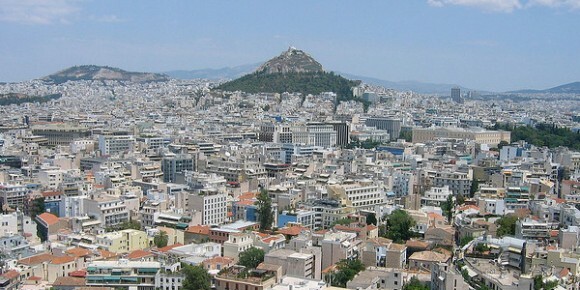 Your flight will most probably land in the historical capital of Athens. Start by visiting the Acropolis rock, where the Parthenon stands magnificent still to this day. This grand structure was built in the 5th century BC and stood the test of time after numerous earthquakes that hit the region along the years, a real feat of ancient engineering. The Ancient Agora, the ancient’s political and commercial centre, a stroll down from the acropolis is also worth a visit. The Delphi, believed to be the centre of mother earth by the ancient Greeks should be your next stop. This place is a magnificent example of ancient Greek life comprising of beautiful temples, an amphitheatre and a wonderful archeological museum. Move a bit further out and fast forward history to check out the monasteries, the one on ‘Holy Mountain’ or Mount Athos, and the Meteora being the most famous. These are literally suspended buildings the eastern orthodox monks built way up high to be as close to God as possible, accessible in the past only by rope ladders. Don’t worry, as you won’t have to risk your life at all to visit these fascinating structures. You cannot go to Greece without visiting some of the beautiful islands surrounding the mainland. Greece has a really great network of ferries that connect most of the islands together. You might want to go to the beautiful island of Santorini, the island of Crete or perhaps visit the beautiful town on the island of Mykonos with its little white houses and idyllic beaches. Make sure to check out the luxury that the Mykonos Villas have to offer and spend the day in Little Venice or party the night away if you’re up for a bit of nighttime fun. Before you leave make sure to pay a visit to Peloponissos, an immense landscape of mountains, caves and volcanoes and take a boat to the Diros caves, part of an underground river. Being surrounded by water Greece has a lot to offer in terms of watersports. A sailor’s paradise, you can easily plan a week or two to sail from the mainland and go around the islands and maybe do a bit of diving, a real treat. The Greek are a friendly nation and are generally helpful and nice to tourists and travellers although they do drive their cars in a bit of a crazy way so be careful if you decide to rent a car and go around this way. Have a nice trip and make sure to drink a lot of water and keep yourself hydrated if you go there in summer, it can get pretty hot!! This is a guest post written by Stephen Ewins, a freelance writer and an avid traveller.